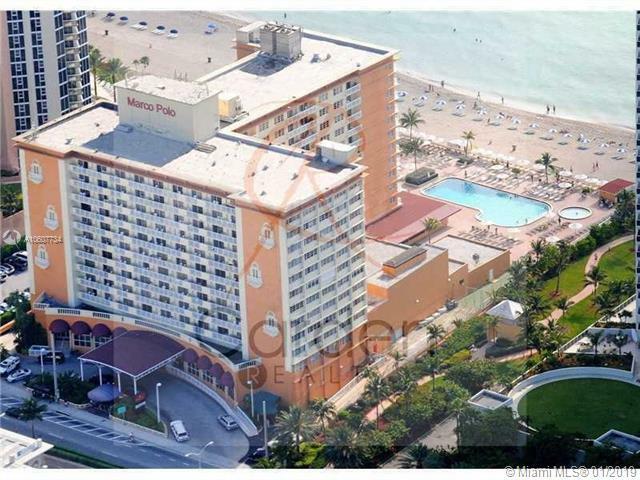 Famous Marco Polo Beachfront Hotel in expensive Sunny Isles beachfront area. Studio recently remodeled with a balcony and Ocean View facing north. Balcony windows changed to Hurricane Proof Impact Windows. No rental restrictions. All amenities included in the maintenance. 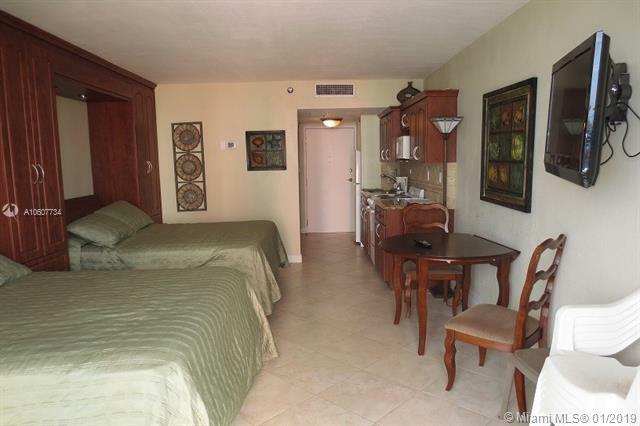 Custom made Closets and comfortable two queen size murphy beds with matching kitchen and bathroom. Studio for sale as shown on pictures with furniture, TV and new kitchen appliances. Ready to move-in or rent same day. 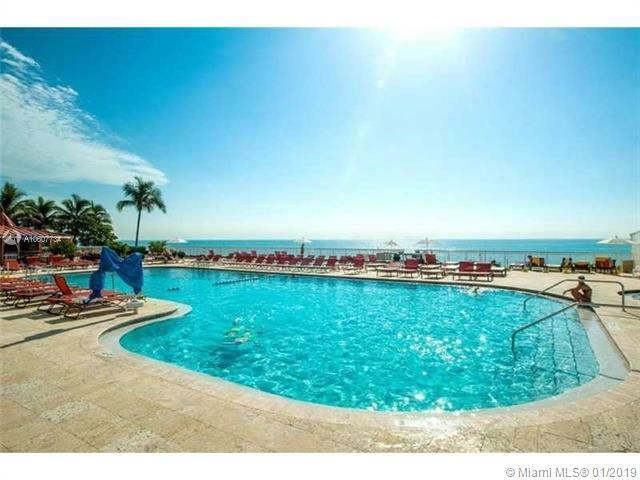 Resort amenities include Large heated swimming pool with additional kids pool and gym/sauna. Can be rented by Owner or with a Hotel program. Apartment is not on a Hotel program. With a good offer assessment to be paid in full by the Seller. 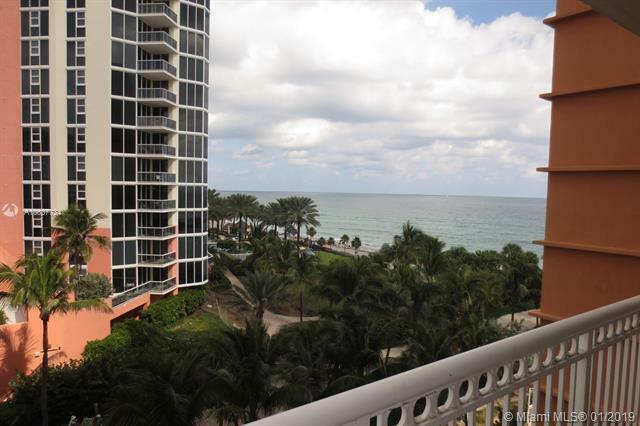 For showing please call Listing Agent.